Solutions to Operating your Business! 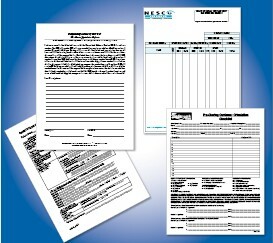 Forms play a vital role in your business’s everyday operations. That is why Partners in Printing is here to help you. We have many years of experience in designing and sales of manual, computer generated, and electronic business forms. We supply every type of form you may need to operate your business efficiently, from Snap Apart/ Unit Sets, Continuous, Cut Sheet-Laser, Software Compatible, Security Checks and Tax Forms. Our experts can provide you all the forms that will surely help your business to operate efficiently.